A first English translation of a classic of Catalan modernism. From its first publication in 1906 this story of the sacrilegious love between Josafat, the bell-ringer and caretaker of Girona Cathedral, and Fineta, the prostitute, has shocked and enthralled generations of Catalan readers. It eventually led to its author and family being hounded out of Girona. From its first publication in 1906 this story of the sacrilegious love between Josafat, the bell-ringer and caretaker of Girona Cathedral, and Fineta, the prostitute, has shocked and enthralled generations of Catalan readers. It eventually led to its author and family being hounded out of Girona. This first English translation of a classic of Catalan modernism lures the reader into the shadowy realm of a provincial cathedral, where the brawny bell-ringer from the countryside finds his lust for the voluptuous Fineta, herself in search of fresh sensual, ever more violent thrills, is too powerful for his faith and stewardship of the buildings hallowed spaces. A stricken conscience leads him to the confessional, where advice from a white-haired Jesuit opens the way for the appalling finale. Prudenci Bertrana (Tordera, 1867Barcelona, 1941) rebelled against his fervently theocratic Carlist, landowning family and espoused the republican cause throughout his life. He eked out a living as a writer, sign painter, portraitist and journalist and editor of satirical magazines, first in Girona, and later in Barcelona. He is the author of many short stories, novels and an autobiographical trilogy. 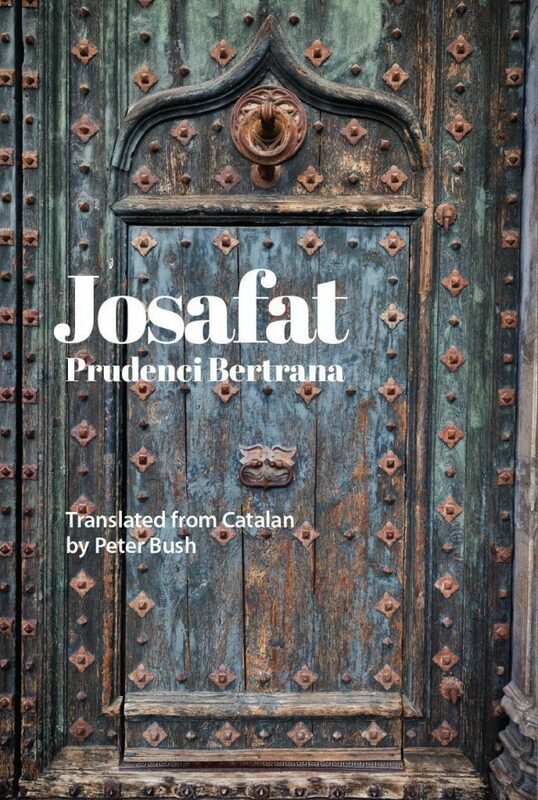 Josafat is his best-known work, a modern Catalan classic. Peter Bush has translated a number of Catalan modern classics, including Black Bread by Emili Teixidor, Merc Rodoredas In Diamond Square, Joan Saless Uncertain Glory and Winds of the Night, Josep Plas Life Embitters and The Gray Notebook, which won the 2014 Ramon Llull Prize for Literary Translation. He is currently working on Plas Salt Water, Barcelona Tales, and a selection of stories by Teresa Solana. In 2015 he was awarded the Creu de Sant Jordi by the Catalan government for his translation and promotion of Catalan literature. A collection of poems that engage with the Western poetic tradition from a feminist perspective and explore the challenges a woman faces when she writes poetry, published in Catalan with English translations. The Body’ Reason is the first book by Catalan poet Mari-Mercè Marçal to be translated into English. She is a key figure in Catalan poetry of the post-Franco era, who was actively engaged in the transition to democracy and the emergence of a feminist movement in Spain. Hers is a uniquely challenging voice expressing a distinctive Catalan gendered perspective. The first collection of award-winning Catalan poet, playwright, fiction writer and translator, Ponç Pons’ work to be translated into English.